Lock in a great price for Harriet House B&B – rated 9.5 by recent guests! The house is super lovely. Its just simple, modern and significantly, very clean. Paul and Heidi are very attentive into details of everything, we do appreciate their effort. Most importantly, the cooked breakfast is excellent, tasty and well served. We had a wonderful stay indeed. Very friendly staff. The breakfast was *amazing*! I recommend this place without any reservation. I had the "cozy double room" upstairs to myself (a bit small for a couple though, but it is... 'cozy'). 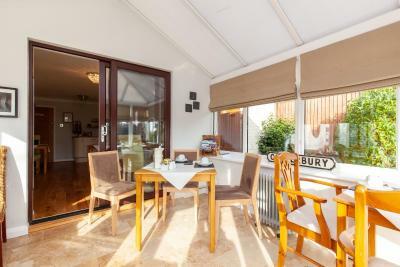 Beautiful conservatory for breakfast area. 12-15min walk to city centre. Bed & pillows very comfortable. Very clean room & bathroom. Wonderful breakfast pancakes! Very nice host! Mini-fridge in room. Very quiet in evening, wonderful. Overall, would recommend. An absolutely perfect place to stay. Great house, staff, breakfasts, parking, rooms...everything. Great cleanliness. Flexibility in checking in and out. Exceptionally friendly staff. I made a very last minute booking (impulse decision!) and had a late arrival due to train problems, Paul and Heidi were very gracious and welcoming hosts. The standard of the rooms (even had illuminated bathroom mirrors), beds, cleanliness, breakfast, and of course the hosts was excellent, I’d highly recommend this B&B. They were even very good about letting me store my suitcase there for a few hours so I could make a quick trip to Dover - much appreciated. Paul and Heidi were both very friendly and attentive. Lovely breakfast and very comfortable room. Thanks for the unexpected Easter egg. Very accessible for the city centre. The room was lovely, great location, and Heidi and Paul were just so nice. The breakfast in particular was really tasty with a great view. Thank you!! We will definitely come back again if we are back in Canterbury. Rich breakfast, everything is homemade. We really enjoyed the garden and the room was comfortable and clean. 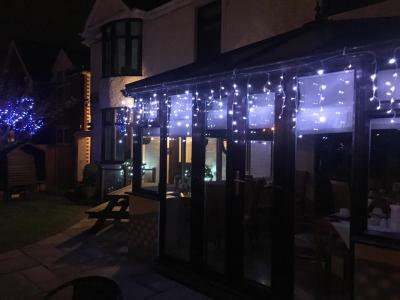 Harriet House B&B This rating is a reflection of how the property compares to the industry standard when it comes to price, facilities and services available. It's based on a self-evaluation by the property. Use this rating to help choose your stay! One of our top picks in Canterbury – and a guest favorite. 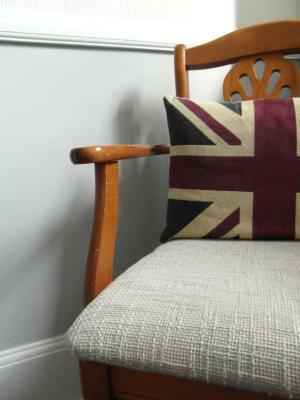 Harriet House Bed & Breakfast is a 10-minute walk along the River Stor from the very heart of beautiful, historic Canterbury. 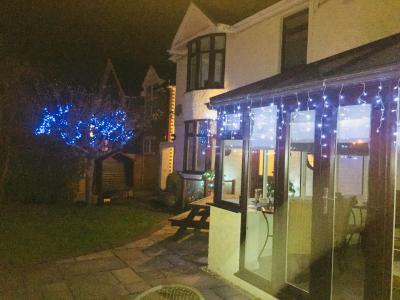 This well-established 4-star bed and breakfast offers charming rooms with attached bathroom and free parking. 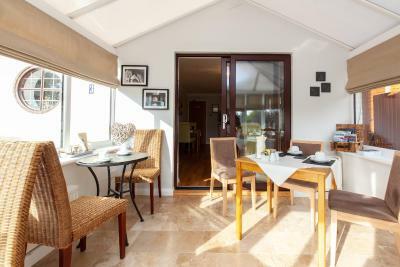 Comfortable and well furnished, all rooms have en suite shower rooms, flat-screen TVs, mini-fridges and tea/coffee. 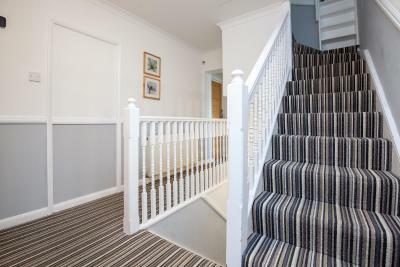 The Harriet House Bed and Breakfast is just 2,150 feet from Canterbury West Railway Station and less than a mile from the shops, restaurants and museums of Canterbury's city center, as well as the historic Canterbury Cathedral. 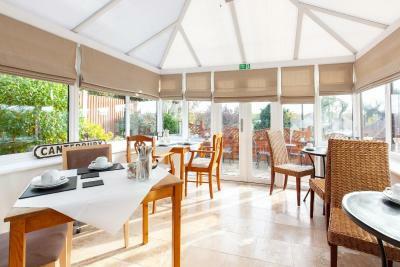 A full traditional English breakfast is freshly cooked and served to order in the sunny breakfast room and conservatory. Breakfast includes meat from an award-winning local butcher, free-range farm eggs, waffles and pancakes. Breakfast is served from 08:00 until 09:00. Lighter buffet options are also available and vegans, vegetarians and those with special dietary needs can be accommodated by prior request. All guests are given their own keys and are free to come and go as they please. 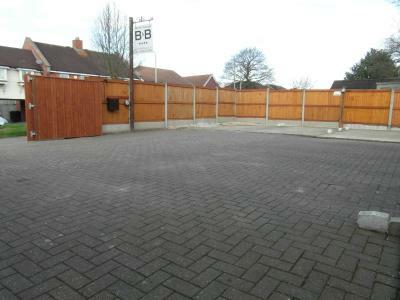 There is a private car park at the rear of the property, with free parking for guests. 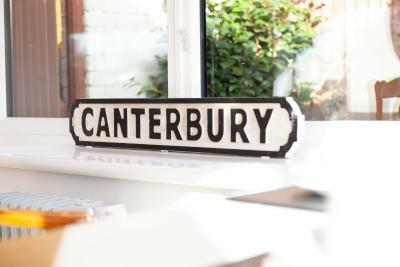 This property is also rated for the best value in Canterbury! Guests are getting more for their money when compared to other properties in this city. When would you like to stay at Harriet House B&B? 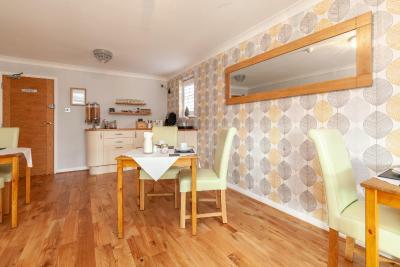 This ground-floor room has a flat-screen TV, tea/coffee facilities and a private shower room. This compact twin room is located on the first floor and contains a flat-screen TV, tea/coffee facilities and a private shower room. 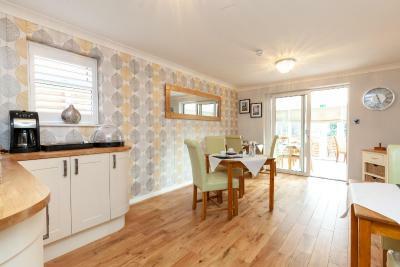 This first-floor room has a flat-screen TV, tea/coffee facilities and a private shower room. 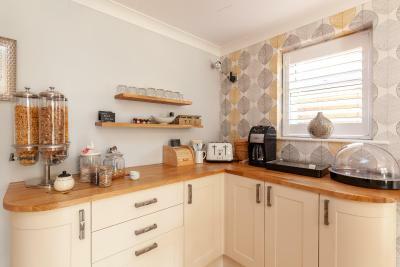 This cozy double room feature sloping ceilings and an electric kettle. Kindly note the accommodations is located on the second floor, and is accessible via stairs only. Therefore it may not be suitable for guests with mobility impairment. 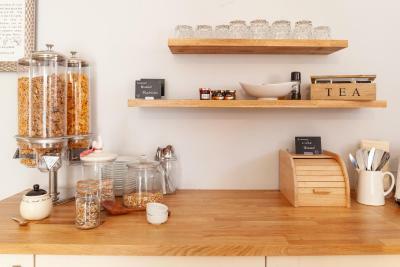 This first-floor double room has a super king-size bed, large en-suite shower room, additional living space, a 32-inch TV, Nespresso coffee machine and complimentary bottled water. House Rules Harriet House B&B takes special requests – add in the next step! Harriet House B&amp;B accepts these cards and reserves the right to temporarily hold an amount prior to arrival. Harriet House B&B accepts these cards and reserves the right to temporarily hold an amount prior to arrival. Guests are kindly requested to inform the hotel in advance of their estimated time of arrival. This property cannot accommodate group bookings of more than 6 guests. Please note guests under the age of 15 cannot be accommodated. Please note all access and car park is via 'Market Way' behind the B&B. Check in after 8pm by prior arrangement only. Please note, 1 car parking space per room is available free of charge. Guests can arrive at the property from 10am onwards to register and/or leave luggage; however, the property can only guarantee access to rooms from 1pm onwards. Please inform Harriet House B&B of your expected arrival time in advance. You can use the Special Requests box when booking, or contact the property directly using the contact details in your confirmation. We had a lovely 2 night midweek stay with Paul & Heidi. They have a lovely house, were excellent hosts and our room was big with a really comfy king size bed and well appointed bathroom. Having a fridge in the room was a real bonus for us and Paul & Heidi catered really well with my wife's gluten and lactose intolerance. 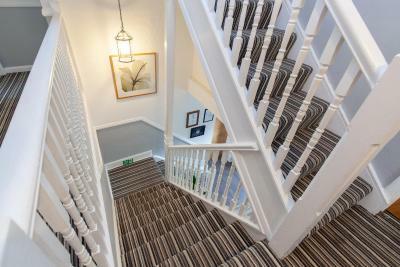 All in all a fabulous stay with the highlight being within walking distance of the city centre and the amazing cathedral. Plenty of secure parking available too. Thanks also to them for my surprise birthday bucks fizz with our breakfast!! We were only there for one night and my wife and I had trouble getting the brand new shower to work properly. It was a little too much new technology for us I believe. The breakfast and the choices for breakfast were excellent. breakfast was excellent, view was even better! The hosts were very warm and friendly people. Everything was of a very good standard until I went to find the hairdryer in the morning and it was a small travel one. A standard hairdryer would have made this stay a 10/10 - in fact I would have preferred a large hairdryer over a coffee machine in the room but that is personal preference! We had a friendly welcome and all staff were lovely and accommodating. The room was spotless and very clean with nice toilettries and a refreshment tray of tea/coffee and a Nespresso machine. I had the avocado on toast for breakfast with egg and tomatoes on the vine which was very tasty. Everyone in the party was happy with their breakfast and room. The property was spotlessly clean. Breakfast was excellent. The breakfast buffet included home made granola, bread, pastries and marmalade. Room facilities included a fridge with bottles of water and fresh milk. There was also a coffee making machine. A great variety of goodies, who doesn't love a Tunnocks Tea Cake. Seriously, there’s nothing I can think of. The room was beautiful! I loved the modern bathroom, especially the body lotion and body wash and of course the rain shower. The bed was very comfy and I do love enough pillows to make myself comfortable. The breakfast was excellent and it was very considerate of Heidi and Paul to mention that they’d even offer vegeterian sausages. I took the pancakes though and they were fantastic. The croissants were so good, I wish I could have eaten more of it as well. I liked the choice of fruits and the homemade granola. Over all we had the best stay over the course of our entire roadtrip at Harriet House, thank you again!